I've received 2 final postcards from the postcard exchange. 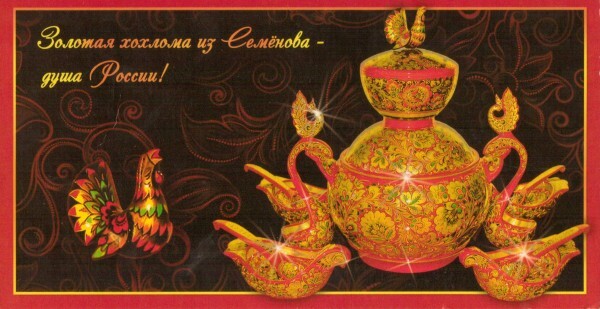 Both of these cards are from kehlen_crow who lives in Russia. She was wondering if they would arrive at the same time - well! yes they did! 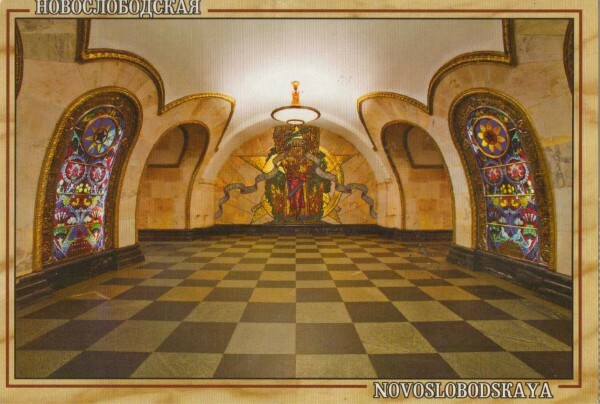 This is picture of the metro station she uses on the way to work. It looks like very beautiful architecture. This picture shows traditional Russian woodcraft and painting.